Around Christmas every year, I spend hours in the kitchen making up homemade candies for upcoming parties and gifts. 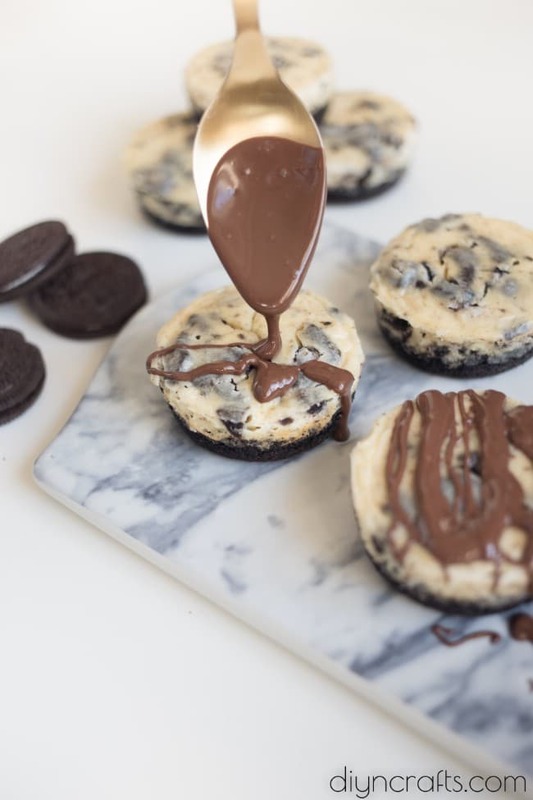 I’ve tried loads of candy recipes over the years and these Oreo cheesecake bites are among my favorites. Not only are they easy – and by easy I mean virtually foolproof – they’re also really delicious. They’re not nearly as rich as you would think so they’re not too sweet. 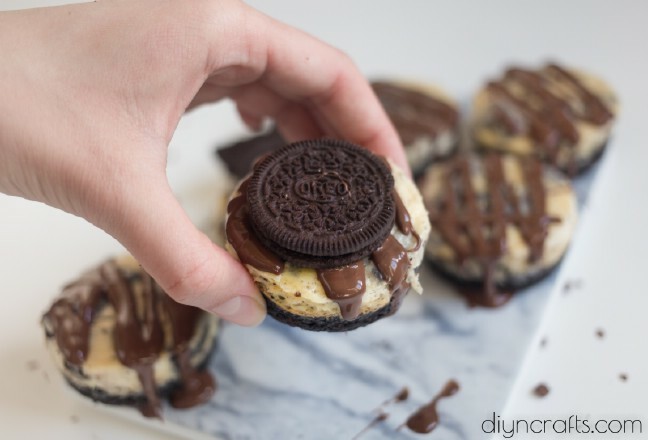 They’re just the right amount of sweetness combined with creamy cheesecake texture and of course, Oreo cookies. Like I said, I make candy at Christmas but I’ve recently begun doing homemade candies for other occasions. I love giving homemade gifts and I tried these Oreo cheesecake bars for an office party and they were a huge it. What’s not to love? They’re creamy and delicious and they’re the perfect size for party foods. 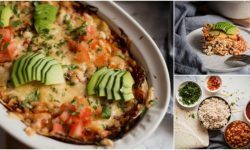 Oh and if you’re feeling guilty about eating something sweet, just counteract these yummy candies with my zucchini tortillas – they’re healthy and delicious. In just under about an hour, you can make these delicious little bites which are perfect for family dessert or snack. They’re also great for parties and you can easily alter the recipe to make more than just one batch. They don’t really take long to make considering how delicious they are so you could easily do a couple of batches or more for an upcoming event. They’re as easy to make as these banana and Nutella stuffed pastry rolls – and just as delicious! So, if you need a go to recipe for parties or homemade gifts, this one is perfect. 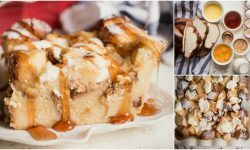 Of course, it’s also perfect for just making something sweet when you have a sweet tooth. I’ll warn you though, these won’t last long. 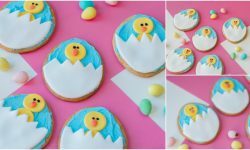 It took my family less time to eat them than it took for me to make them. I’d say they were a huge hit! 1. Preheat your oven to 350 F (180 degrees C). 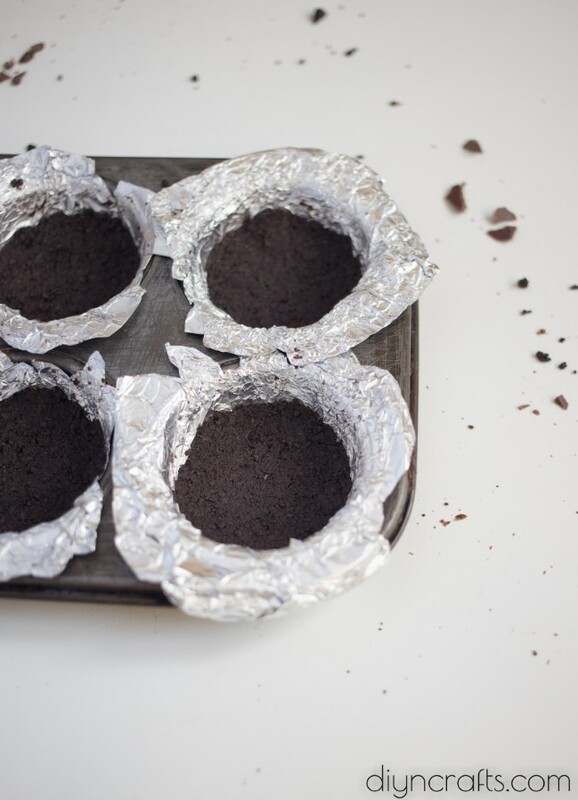 Line a cupcake tray with foil. 2. For the crust, mix Oreo crumbs with melted butter. Scoop about 1 ½-2 tbsps. of mixture into each cupcake mold and press as firmly and evenly as possible. Bake for 10 minutes and then let cool completely. 3. Lower the temperature to 320 F (160 degrees C). 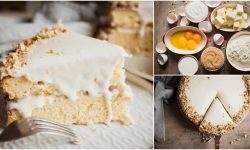 Whisk cream cheese, flour, egg and sour cream together. Add crushed Oreos into the batter. 4. Pour the batter into cupcake molds and return to the oven for 40 minutes more. 5. Let the cheesecake bites cool completely, remove from the pan and drizzle with melted chocolate. 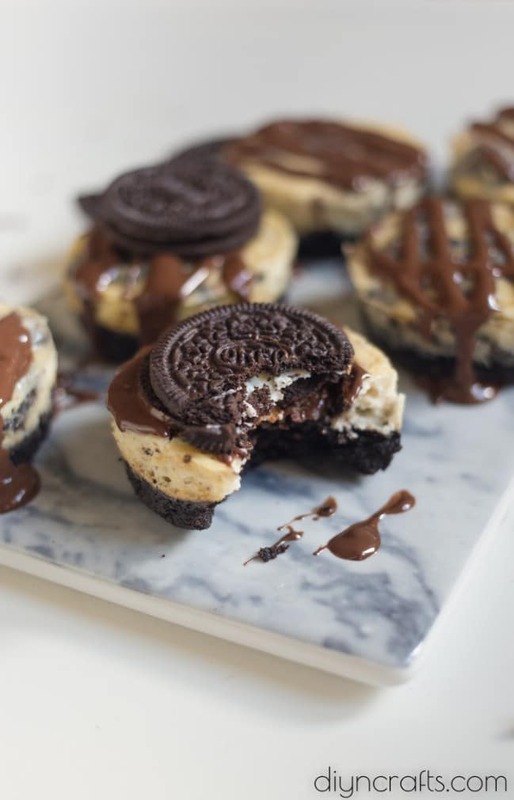 Delicious Oreo cookies are the base for these yummy cheesecake bites. 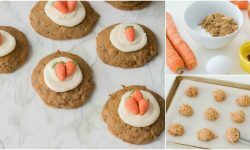 Crush cookies, mix with butter, and create crusts in lined cupcake pans. The filling also includes Oreo cookies. Melted chocolate drizzled over the bites give them extra flavor. Top with another Oreo cookie for the perfect snack, dessert, or party food. 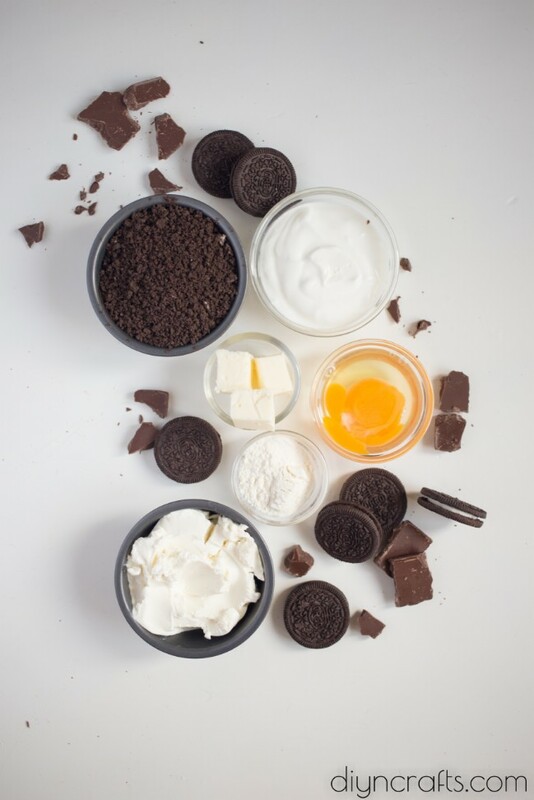 Delicious Oreo and chocolate in every bite! Preheat your oven to 350 F (180 degrees C). Line a cupcake tray with foil. For the crust, mix Oreo crumbs with melted butter. Scoop about 1 ½-2 tbsps. of mixture into each cupcake mold and press as firmly and evenly as possible. Bake for 10 minutes and then let cool completely. Lower the temperature to 320 F (160 degrees C). 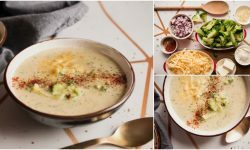 Whisk cream cheese, flour, egg and sour cream together. 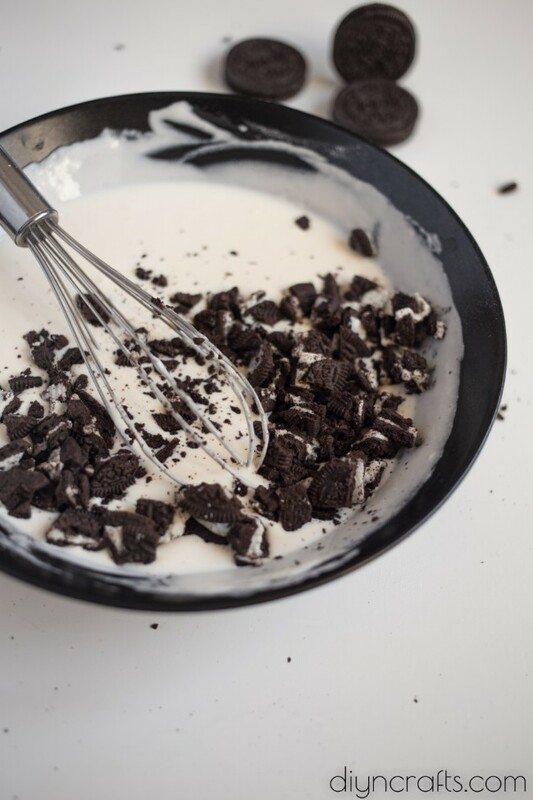 Add crushed Oreos into the batter. Pour the batter into cupcake molds and return to the oven for 40 minutes more. Let the cheesecake bites cool completely, remove from the pan and drizzle with melted chocolate. how many does it make? I have cupcake trays that are 6 or 12 cupcakes….is there any nutrition information available?